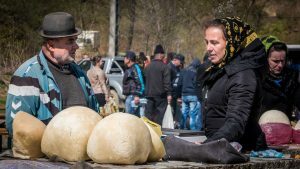 When talking about what things you can do to unravel true Romania, experiencing the authentic life of people from traditional villages is something you cannot miss. 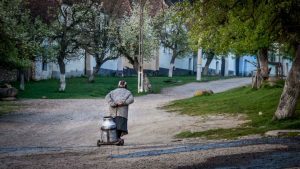 In rural Romania you enter a welcoming, peaceful and humble world. 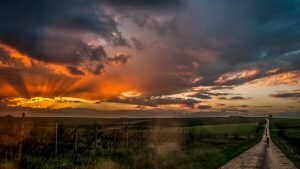 You may hear a rooster crowing, see a woman picking fresh vegetables from the garden, a man mowing hay with a scythe, children playing by chasing geese and elders sitting on the bench watching the world go by. You can travel as locals do by taking a horse cart ride to the quiet meadows where cows graze and to the fields where farmers still practice traditional agriculture. Or you can visit a nearby sheepfold where you will be introduced into the peaceful life of the shepherds that tend their sheep and make cheese like centuries ago. Romania has many villages which keep their centuries’ old tranquility and some of our suggestions are Breb, Ciocanesti, Dragus, Malancrav and Jina. 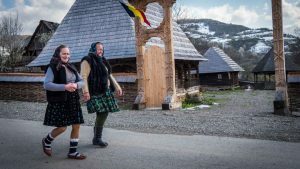 As you wander on a Sunday morning through Maramures in search of its famous wooden churches, you will meet locals proudly wearing their traditional clothes going for the religious mass. Join them and feel the bond of the local community. Some villages where you can find beautiful wooden churches and fascinating people are Sapanta, Botiza, Calinesti, Barsana and Desesti. As you cross the Carpathian Mountains and the morning fog lifts, Transylvania’s medieval towns reveal their charm inviting you to be part of their quaint way of life. 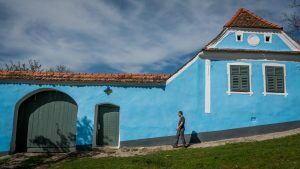 Roaming on the unpaved roads and passing by the colorful houses of villages like Viscri you will be transposed back in time to when people still take shelter in their fortified church during times of assault. 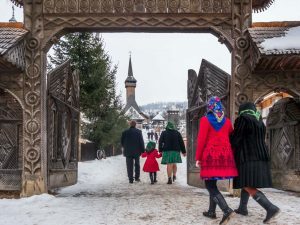 Biertan and Rimetea will display their rich German-Saxon and Hungarian heritage teaching you about the multicultural legacy of Transylvania. 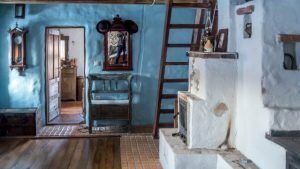 If the warmth of a home is what you are looking for while traveling then staying in a traditional mansion should be on your list of things to do in Romania. As you open the door you are shrouded by the feeling of being home when the friendly hosts greet you, offer you a drink and lead you to your room. The best part of choosing a traditional mansion is that you actually experience the life of locals as it used to be, while sleeping in rooms beautifully decorated in traditional style and taste the delicious home-cooked meals. Outside the doors of the mansions there are charming small towns and wildflower fields waiting for you to explore. Dreaming of a history book kind of castle? Then prepare to cross the huge entrance bridge, open the gates and enter the imposing Corvin castle. Wandering through its impressive halls and rooms you will have a taste of court life in the 15th century, learn about the tumultuous history of the place and unravel the famous legends written among its walls. The tour of the castle will lead you to a dungeon, a bear pit and to the high observation towers from where you will have a nice view of the town and surrounding valley. Push aside the boughs of the weeping willows and discover the beauty of the Danube Delta, a largely unspoiled territory with over 5,500 species of flora and fauna. Take a boat, make your way through the rich reed bed and venture into the canals so you can observe this paradise of birds and fish and enjoy the quietness of the landscape. But don’t leave until you hear some of the interesting stories of the local fishermen and eat a bowl of their delicious fish soup. Imagine yourself being a curious learner trying to master the glass-painting art or an apprentice while a potter teaches you to shape the clay. Learn about the tests that a brick needs to pass and see the carefulness of a traditional clothes-maker when she sews beads on a traditional “ie” blouse. 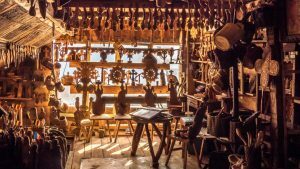 While in villages make sure you learn about the importance of a blacksmith for the people working the land or of wood-carvers in Maramures, where every gate is hand-carved in an elaborate design. Are you interested to meet local people and see how they truly live? Here’s another thing you can do in Romania! Immerse yourself into the local culture by exploring some local markets, the best place where you can witness the everyday life and interact with ordinary people. Stroll through a vegetable market where farmers sell their well-groomed, often organic products and bargain for the best price. Or witness how at animal markets locals gather to trade pigs, sheep, cows and horses but also to chat over a shot of local palinca plum brandy. From the picturesque small towns to the majesty of the Carpathian Mountains, Romania offers a wide diversity of landscapes waiting for you to capture them. Spot the rising sun as it warms a medieval village in the heart of Transylvania, witness the turning of colors in nature throughout the seasons while in idyllic Bucovina. Or photograph the beautiful Danube Delta with its untouched nature and wilderness and catch the sunset that lies over spectacular Transfagarasan road and surrounding mountains. A true Romanian experience inevitably comes with an immersion into the local cuisine. Start with a delicious ciorba taraneasca soup and then relish with sarmale, a mix of minced meat, rice and spices wrapped in pickled cabbage, and customary on every Romanian feast. For a lighter meal enjoy mamaliga (polenta) accompanied by cheese and sour cream, the most popular meal for shepherds. In the end do not forget to sink your teeth into papansi, a mix of delicious cottage cheese donuts, sour cream and fruit jam. In Romania you will not go hungry. If you are a nature lover or simply in search of unique experiences, you definitely need to venture into the underground karst network of the Carpathian Mountains. Besides their beauty and wilderness the Western Carpathians are home to one of the richest karst structures in Europe, displaying thousands of fascinating caves. Wander at the cave bear fossils and speleothems in the Bear’s cave, walk between stalagmites and stalactites in the Women’s cave and admire the impressive karst formations that a glacier shaped in the Scarisoara cave. Are you eager to witness authentic traditions? Then make sure that whilst thinking of things to do in Romania you don’t miss a Christmas celebration, a time of joy and centuries old traditions for all Romanians. Let yourself be dragged in the decoration of houses with thousands of lights and tinsels and the preparation of bountiful traditional dishes for the Christmas day’s feast. On Christmas Eve, dress in traditional clothes and wait for the carolers that roam the snowy streets carrying a colorful star and announcing the birth of Jesus Christ. But the holiday doesn’t stop here. The next day, the locals dress again in traditional clothes and participate in the church service. Join them and then soak up the cheerful atmosphere of the celebration when people enjoy the music of the “ceterasi”, dance and relish the tasty dishes.